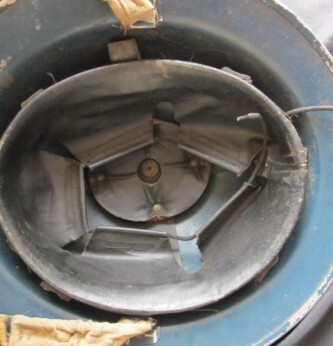 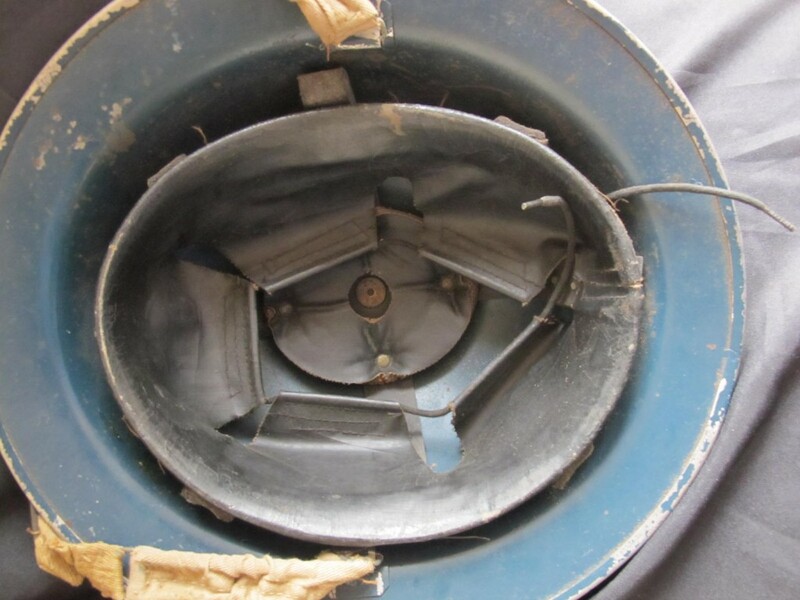 Blitz period British steel helmet with original dark blue paint finish remaining. 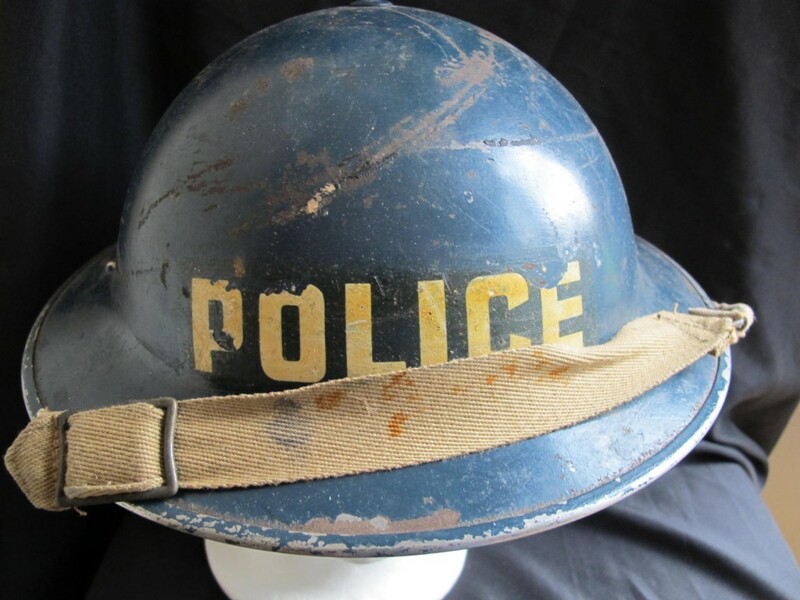 Police stencilled decal to front. 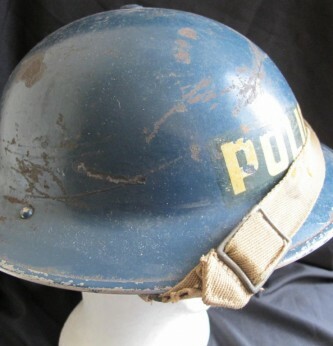 Complete with original lining and webbing chin strap. 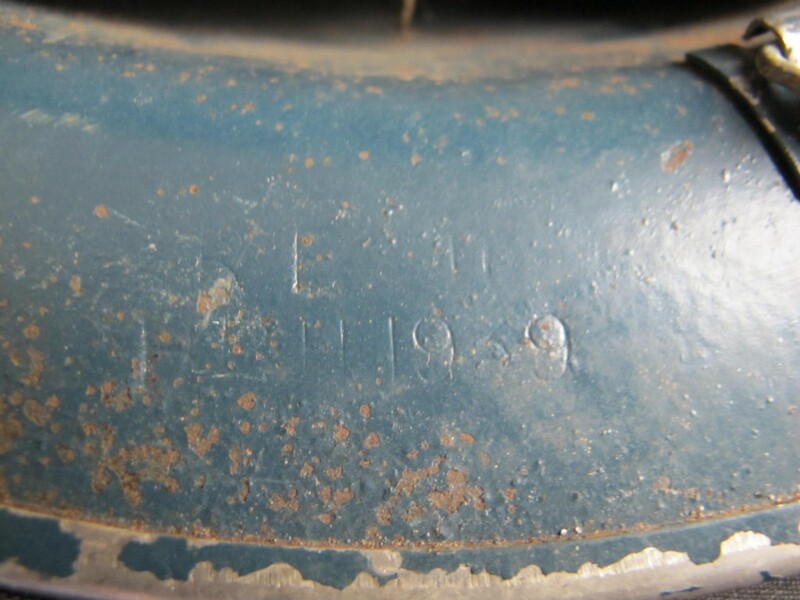 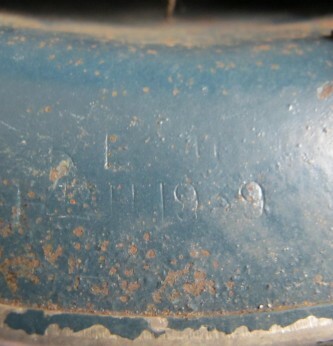 Helmet marked with manufacturers initials and clear 1939 date. 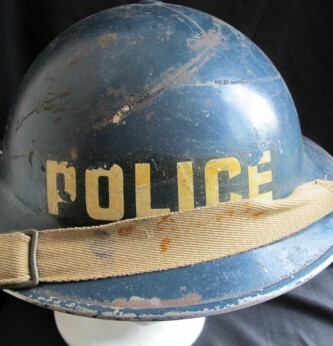 As issue to Police units for protection during Air Raids. 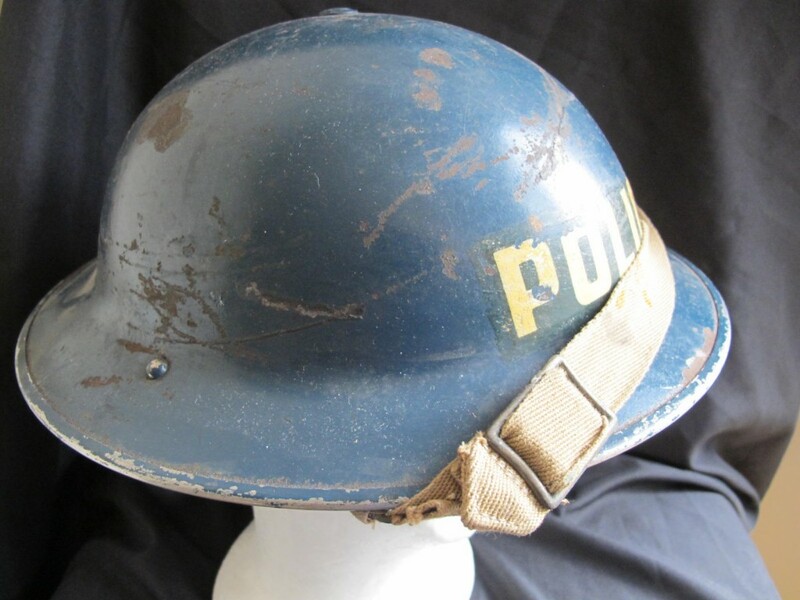 Standard pattern British Army helmet.